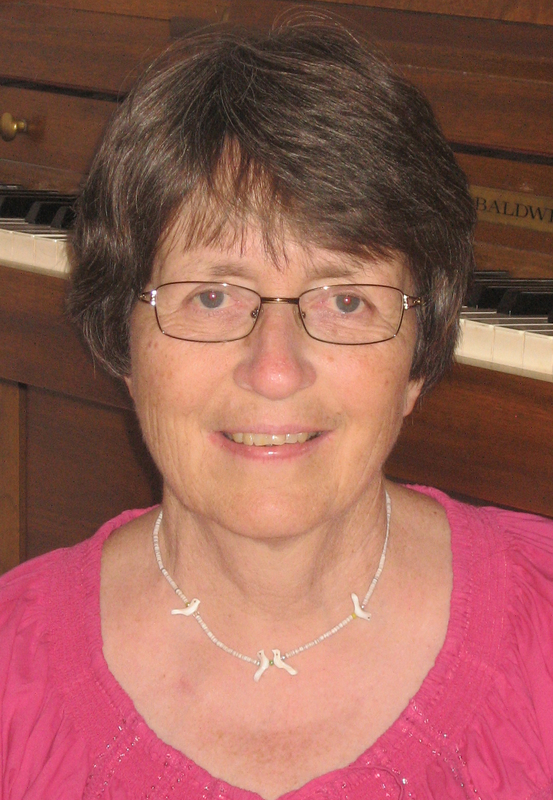 Anne Huestis Scott is a retired elementary music teacher who has written six children’s musicals, including Peace Cranes – which highlights human rights and the life of John Peters Humphrey. In June, 1999, Anne received the NB Tel Excellence in Teaching Award. In October, 2000, Canadian Living Magazine named five Canadian Überschools. Hampton Elementary School was one of the five. “From these great schools come five tried-and-true learning boosters that will work for your child, too. The Play’s the Thing: How do you make 200 students feel like the stars of the school musical? At Hampton Elementary School in Hampton, NB, you write them into the script. Music teacher Anne Scott decided to do just that when she noticed that most scripts for schools don’t allow for a cast of hundreds or teach kids anything new. Her play is based on the life of the late Hampton Dr. John Peters Humphrey, who drafted the Universal Declaration of Human Rights in 1948…. In December, 2000, performances by Hampton Elementary School students of Peace Cranes won HES the New Brunswick Human Rights Award. In July, 2012, Anne received the Queen’s Diamond Jubilee Medal, for her human rights work; in particular, her book, “The Boy Who Was Bullied”. French translation, Au-delà de l’intimidation was published in November, 2012. In January, 2013, Anne travelled to Jamaica where she volunteered in an inner city school in Kingston. While there she gave 11 interactive presentations on her book, The Boy Who Was Bullied, and worked with Grades 4 and 5 students, role-playing the human rights skits found in the back of her book. It was the first time that Anne had the opportunity to play the part of the minority person- she played the part of the only pale-skin member of the soccer team, shunned by the others. Anne resides in Hampton, NB, with her husband, Neil Brodie, near her two daughters and seven grandchildren. Anne also has seven step grand-children whom she enjoys when they get together in the summer time. 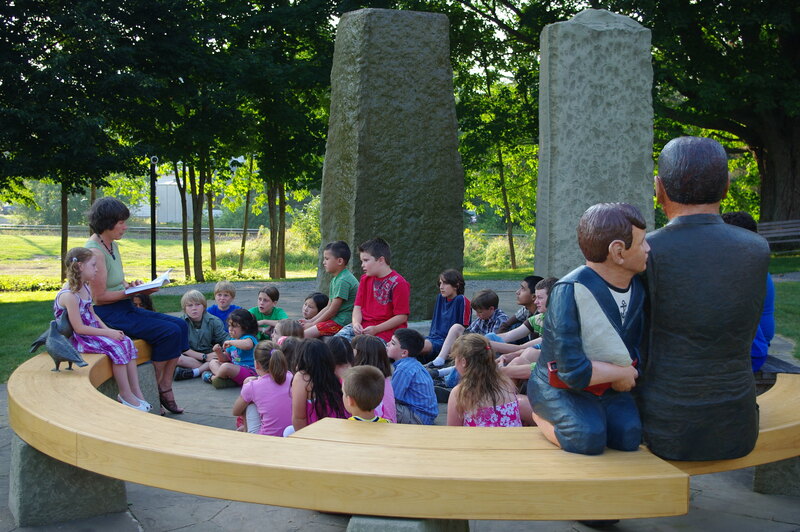 The author reading an excerpt from the book to students at the sculpture of John Peters Humphrey, in Hampton, NB.